Rob Garner: The short answer is yes – “likes” are more valuable as a primary connection, as applied to Graph Search. “Likes” can drive an increase in network reach and influence, and the same concept helps in Facebook Graph Search. “Likes” are similar to links in social search, and connect themes and the potential for expressing intent toward an object, which theoretically can help social search results. So, just as you build a site and want other webmasters to link to you, in social search, it is imperative for marketers to have a presence and gain natural inbound “likes” to their Facebook presence. There are also many limits of Graph Search by using “likes as links.” Facebook has only one “feeling” right now, the “like,” and this only communicates a weak tie between objects. It is used so ambiguously now, many of the search results will be non-relevant to the searcher because Facebook doesn’t truly know whether someone really likes something or not. So a wider range of connections and expressions of intent are still needed to create a highly useful type of social search. Once they get this together, then a more refined approach can be taken. MS: How should marketers approach Facebook Graph Search as part of overall search engine marketing (SEM) efforts? Does it require a specific strategy? DS: For now, Graph Search and traditional search engine optimization are two separate marketing channels. This will change, as you can guess, as this is Facebook’s, and Bing’s, goal to bring relevance to Graph Search and monetize the results with ads that are tied to the search. RG: If your business is here for the long term, then a sustainable and long-term approach should be taken for Graph Search, just as you would want to do for your SEO or paid search programs. Having said that, there is a lot that remains to be seen from Graph Search. The service has not rolled out yet, and I would expect that it will be used by only a segment of the overall Facebook user base on a regular basis, in its current state. It may be a tool used by marketers to better understand their audience, and find like-minded people, and there is a strong possibility that this same search data would be pushed into the social experience by means of discovery or context. MS: Does Graph Search impact B2B and consumer marketers differently? DS: Yes, there will be an immediate impact for companies marketing to consumers. Generally consumers identify their personal lives within Facebook. For most B2B businesses, there is stretch to have your products/services relate within Graph Search as it stands today. Consumer marketers will need to be engaged and connected with their audience. The stronger the ties and wider the network, the more visibility and engagement a consumer marketer will achieve. The beauty of social relevance and social search is that your visibility is stronger within your network, so both B2B and B2C marketers can “optimize” simply by increasing the size of their network. MS: What are some specific tactics and tips for marketers to take advantage of Graph Search? DS: One the most important practices is to consistently create great content. Your website has a marketing communications goal that is probably different from your Facebook and Google+ communications goals. Keeping everything in alignment and consistently managing great content is at the core. 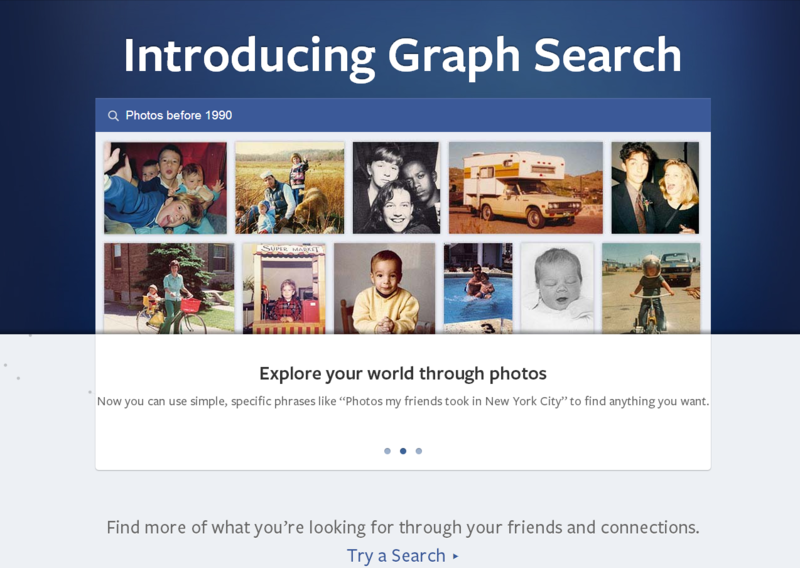 It will be interesting to see where Graph Search will be a year from now. RG: In addition to increasing your network size on Facebook, also look more to Bing optimization as these two are tied closely together. Bing search can port into Graph Search, and of course, Facebook will show up in Bing results as well. So pay close attention to Bing SEO. Get a Bing Webmaster Tools account, and submit your feed. Post and share relevant content for the theme and audience you would like to attract. As I mentioned previously, expanding your network is an optimization tactic. Your first tier of influence is the network directly connected to you, and gives you a greater reach in the “friends of friends” sense. This translates into Graph Search, and into Bing as well. MS: What should marketers take away from Facebook adding Graph Search capability to its platform, and how is it going to impact SEM in general? DS: Relationships are what make Graph Search and traditional Web search different animals. Graph Search is based on the relationship with other consumers, whereas Web Search is based on the relationship to links from other sites, although Google’s implementation of Google+ will validate searches and “acts like” a social network. As I mentioned earlier, creating great content that benefits people will ultimately get you more “links” (Web search) and “likes” (Graph Search). RG: Search and social are married together, to both improve the search experience and the social experience at an algorithmic level. This iteration is just the beginning, kind of like SEO when it started back in the 90s. All SEM will have a social element, and all social with have an algorithmic element. All content will be affected, whether it is social content, or more static foundational content. Marketers should be combining a search and social approach with everything they do, or in a few years, they will be totally left behind. As I state in my book, Search and Social, the game to watch in social search is which digital publisher has both the best information retrieval technology and the best human social network layer. Facebook is upping the game here, and this is just the beginning. Then it is good if we use facebook graph search since likes will count a lot in this kind of strategy. I agree with you Facebook Graph Search is one of the most recent of those digital marketing challenges. 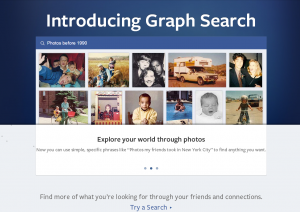 Facebook graph search can also be used for SEO if you can use it efficiently..